John Maher: Hi, I’m John Maher and I’m here with Jeff Bowersox of Bowersox Law. Jeff is an attorney with special expertise in defective products and medical devices. Today, we’ll be talking about the Stryker Rejuvenate and ABG II modular neck‑hip system recall. Welcome, Jeff. Jeff Bowersox: Thank you, John. It’s always a pleasure to be back with you. John: Jeff, what were the Stryker Rejuvenate and ABG II modular neck‑hip system recalls in 2012? Jeff: John, these hip devices were designed by the Stryker system to provide surgeons with some extra room to make adjustments for patients when they implanted these hip devices. They were designed for active people, people who had had a prior implant. The hope and intent of the surgeons was that they would be able to create a hip device replacement for their patients that would provide for their every need. Unfortunately, Stryker failed to do any actual human testing, and in fact, did not even do any animal testing with these devices. What happened is, once surgeons implanted these devices, they began finding that their human patients were having problems. 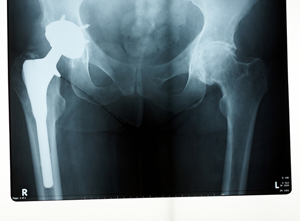 As a result, the devices were often failing, sometimes as soon as nine months after implant, and a hip device should have an approximately 20‑year youthful life. You had a person who would maybe have had a significant degenerative arthritis problem or some other problem in their hip that caused them to seek out a surgeon to help them solve this problem with a hip device. They then underwent a very major surgery to have this device implanted and then found that perhaps as soon as nine months later, a whole new set of symptoms and problems had arisen because of a defective device. John: That has to be really difficult for a patient to go through that. Like you said, they’ve gone through this whole surgery, painful surgery, and then a whole road to recovery afterwards where they’re probably doing rehab afterwards to get themselves back on their feet and walking. Then after all of that happens and they think it’s going OK, then things start to go downhill and they realize that they’re having problems. Jeff: Never have I seen a group of people who have had a greater misfortune with what was supposed to be a relatively straightforward procedure than patients who come to me with a recalled Stryker Rejuvenate or ABG II device. It has been most frustrating for them. Many of them got the first relief from pain that they’d had in years after the device was implanted. Their surgeon did a wonderful job. The hospital staff cared for them. They were checked out. Their spouse was with them. They were happy and excited to get back to a pain‑free life. Then, some months later, as this modular neck device began to degrade and actually corrode inside of their body, it began to shed small particles of metal, cobalt, chromium, and even titanium, which was a proprietary alloy created by the Stryker Corporation when it devised the Rejuvenate and ABG II devices. John: What potential liability does the Stryker corporation face from their Stryker Rejuvenate and ABG II modular neck‑hip system products? Jeff: The law in every state in the United States protects consumers from manufacturers who design and sell medical devices that are implanted in a human body when they have not been properly designed, when there has been a failure to warn both the patient’s implanting surgeon, and/or to warn the patient himself or herself of the potential danger of the device. The liability that Stryker Corporation now faces is that there are approximately 30,000 people in the United States who may have had this device; one of these two defective devices, implanted and now need to have the device removed because it is shedding cobalt and chromium metal particles into their body. The real problem with that, John, is that it causes an inflammatory response. Imagine as though you were out on the back deck with your family having a barbecue and you ran your hand down the railing and you got a sliver. Whether it’s a metal sliver or a wood sliver, your body instantly begins to react to that foreign, invading object. What happens is your body’s immune system attempts to destroy the invader. Because the invader, in this case, in our example of a sliver from a piece of wood or a piece of metal from a railing, is not organic. It’s not a biotic type of invader. The immune system is ineffective. Likewise, someone who has a Stryker Rejuvenate or ABG II device that is shedding metal inside their hip has their immune system reacting vigorously to try to protect them from this invading metal that’s in their hip. As a result, the immune system creates fluid buildup, similar to pus. It can attempt to wall off or completely surround or coat the invading metal. These are called pseudo‑tumors or capsules. This begins to then compress the patient’s muscle tissue, the healthy muscle tissue that’s necessary to support the artificial hip device and hold it into place so it doesn’t dislocate, to hold it into place so the patient can walk, jog, play tennis, whatever they would normally be able to do. If this healthy muscle tissue is compressed and has its blood supply interrupted by the immune system’s reaction to the metal slivers, then that healthy tissue begins to die. It literally becomes what surgeons call necrotic and die. Once it has died, it will not come back. It can’t be replaced, so this is one of the greatest dangers. Surgeons tell patients there are certain signs they should be on the lookout for. John: Is this a case where the Stryker Corporation started to see that there were problems with their products when they were implanted in people’s hips and then didn’t come right out and warn people that this was happening, that they were seeing this happening in patients? Jeff: John, that’s a very interesting question, and the evidence will come out about that. I believe that there is already some important evidence that Stryker Corporation knew about the problems that the Rejuvenate and the ABG II devices had not that long after they were on the market, and certainly before the general public recall was announced in July of 2012. Let me give you an idea of what I mean about this. There is a nationwide litigation, not a class action. People sometimes think of them as class actions, but it’s not a class action. We represent patients individually, because each of our clients is unique and their case deserves unique attention and individual attention. However, in order to more efficiently litigate these cases, in other words, to minimize expense for all the parties involved, the federal courts require that one judge be assigned to oversee all litigation in the federal courts, regardless of whether the client, an injured patient, is in Alaska, Florida, New Mexico, New York, Oregon, wherever they may be. All of these cases have now been consolidated before the Honorable Donovan Frank in the Twin Cities in Minneapolis and St. Paul. Judge Frank selected a group of attorneys from across the country to form what he calls, and what is commonly called a plaintiff’s steering committee to direct the litigation. I feel honored that Judge Frank appointed me to that committee. I am now assisting in the discovery, as it’s called, or the investigation portion of this lawsuit as it moves forward on behalf or injured people across the United States. Here’s what we know already, in direct answer to your question. In late April, 2012, Stryker gave the FDA a preliminary notice of recall. They identified that their hip devices, the Rejuvenate and ABG II had a problem, but in Stryker’s filing with the FDA, they minimized the number of devices that were involved and downplayed whether this problem would affect any significant number of patients who had had the devices implanted. When the public announcement was made by Stryker, approximately two months later, it was a wake‑up call to all of the surgeons, but still downplayed by Stryker. The interesting thing is, in this intervening two months between the first notice to the FDA on April 30th, 2012, and the public notice of recall that was more widely publicized on July 6th, 2012, Stryker did the following things. They arranged for a third‑party administrator called Broadspire to be able to be prepared to respond to patient concerns and to offer to make some payments for out‑of‑pocket expenses incurred by injured patients. They began a public relations blitz, and they had very competent, very high‑priced counsel retained and prepared to defend them against any questions that should be raised about their conduct. The question that you asked is, did Stryker know about this, and when did they know about this? The answer is, they definitely knew about this. It seems clear to me, based on the evidence I’ve seen so far, that they had good information about this at least a few months before they told the public at‑large. That seems very unfair to me and very potentially harmful to me. In fact, a client came into my office who had a Stryker Rejuvenate device implanted by a surgeon in Oregon who is a Stryker consultant, on June 15, 2012, just shortly less than three weeks before the public announcement of the recall. Imagine his frustration, his fear and anger associated with the fact that Stryker did not even tell one of its consulting surgeons that it was preparing a nationwide recall of a device that that surgeon then implanted into an innocent, unsuspecting patient, three weeks before its recall. John: Jeff, what steps should affected patients take in determining if they have a case for a Stryker hip replacement recall lawsuit? Jeff: A couple of things would have most likely happened, though not in every case. Very likely, a patient has received a letter from their implanting surgeon, indicating that the surgeon had implanted a recalled Stryker device in that patient’s body. However, the letter that is most often sent by surgeons was actually drafted by Stryker and is on Stryker’s website under the Physician Information page, where Stryker has provided information to the surgeons who are also outraged about this circumstance. The letter minimizes the potential problems that a patient might face, so I would say that if a patient got one of these letters from their surgeon, they should promptly, promptly find a physician, whether it be their current treating surgeon or another, who will do a number of things. First, get a blood test to see if that patient has elevated levels of cobalt or chromium in their bloodstream. If they have elevated levels of cobalt or chromium, that is a sign, a clear sign, that the device that is in their body is degrading and is shedding metal into their system and the metal ions are actually in their bloodstream. Second, and perhaps even more importantly than the blood test, is to request a study called an MRI or Magnetic Resonance Imaging. This MRI test will allow the radiologist who interprets it and the treating physician to determine if there is fluid accumulation in the patient’s hip socket. If so, this is another very significant sign that your body’s immune system is reacting to the invading metals as we discussed earlier. If a patient has elevated levels of cobalt or chromium and/or has fluid accumulation, this is a sign that immediate medical attention should be directed to this hip device, and competent medical advice and decisions should be made about whether the device should be explanted. If the device is explanted, it’s absolutely essential that, prior to your surgery, you have retained an attorney who is experienced in this area, because all of our listeners, I’m sure, have watched TV shows such as CSI. You know how important it is to maintain an appropriate chain of custody of evidence. What my firm does is, when we are retained by our clients at our expense, we contact the hospital. We contact the surgeon, and we have our medical device collection company send a biohazard container to the hospital for the surgeon’s use at the time our client is having their revision surgery. The surgeon will then follow an agreed‑upon protocol or set of steps that, after he removes, or she removes, the defective Stryker hip device, it will wrap it up, put it in this special biohazard container, send it to the pathology department for the normal processing, and then ship it overnight Federal Express to our expert, who will photograph it and store it in case it is later needed as evidence in their case. John Maher: I understand that Stryker is offering medical support of their own. How would using that support affect my claim? Jeff: That’s an excellent question, and this is one of the things I mentioned earlier. During the period of time that Stryker knew that it was going to announce a public recall, it hired what’s called a third‑party administrator. Broadspire is the name of this particular company. Broadspire is not an insurance company. It has no authority to take any action except as Stryker gives it permission. Stryker has given Broadspire permission to assign a claim number to any injured patient. That is, in Stryker’s view even, any patient who has a Stryker Rejuvenate or ABG II device implanted, is eligible to obtain a Broadspire claim number. That claim number should be obtained by any patient who has one of these devices implanted in their body. You do not need to sign any of the medical releases or any other form that Stryker sends to you. I would, in fact, say that it is not advised to sign any document sent to you by Stryker or Broadspire. Simply register for your claim number or retain an attorney who will help you get that claim number. If Stryker is willing to make any payments in advance for medical expenses, out‑of‑pocket expenses of any kind, then I say the client, the patient, should take advantage of that. This is Stryker’s fault, in my opinion, and Stryker should pay. In my firm, we process all Broadspire claims for our clients free of charge. We handle cases on a contingent fee basis, but if we’re able to get Stryker to voluntarily make any payment of any kind, whether it be for out‑of‑pocket medical expenses, lost wages, whatever, we don’t charge a fee on that. We simply want to help our client get as much financial relief as quickly as possible. One other thing, we want to cut off communication between Stryker’s agent, Broadspire, and our clients. You’ve all heard the saying, anything you say can and will be used against you in a court of law. If you’re communicating directly with Broadspire, their agents are typing down what you say into a form and into a computer screen that becomes available for Stryker’s use at a later time against you. It may be that everything that gets typed up will be absolutely correct, but we’ve had a number of instances where we’ve seen that Stryker representatives have either inadvertently written the wrong thing down, or otherwise claimed that one of our clients said something that they did not say. When we begin representing that client, we correct that record, and we instruct Stryker, through Broadspire, that all communications with our clients are to go through us. They can send a check directly to our client. They can send a check directly to our client’s doctor, but they may not talk to our client. John: Jeff Bowersox, thanks very much for speaking with me today. Jeff: Thank you, John. As I said, it’s always a pleasure to speak with you, too. John: For more information, you can visit BowersoxLaw.com or call Jeff at 1‑800‑255‑1996.